The fields of Baie-du-Febvre and Nicolet are a relatively dry habitat. 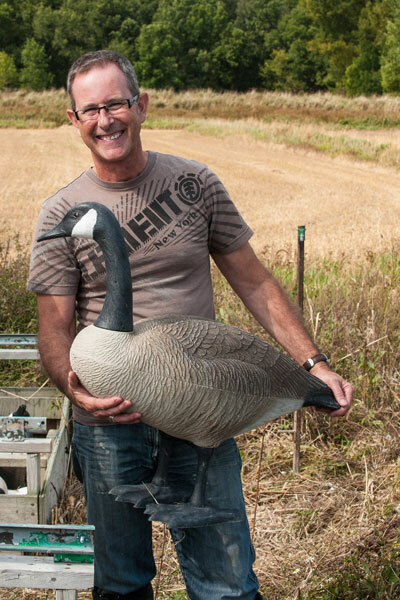 The most abundant waterfowl are Greater Snow Geese and Canada Geese. Mallard Ducks are also frequently seen near ponds. 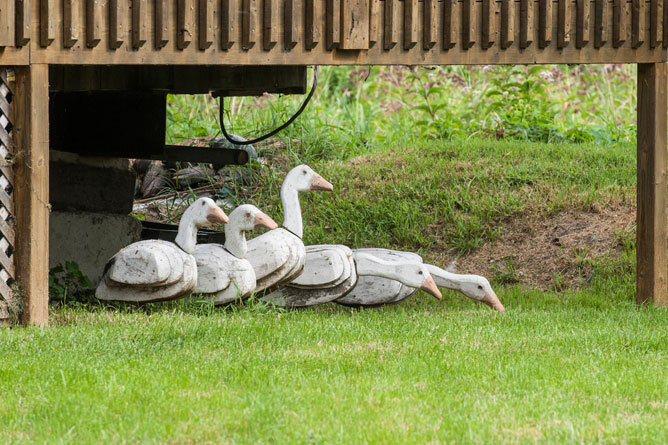 Near a cabin in the Commune de Baie-du-Febvre wetland project, five sculptures evoke Greater Snow Geese feeding on roots. 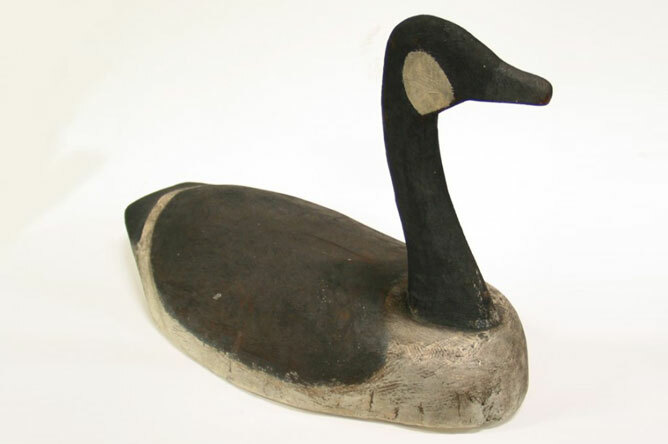 Another wooden sculpture is modelled on a Canada Goose gliding along the water's surface. Blue-Winged Teal were once abundant in these marshes, but changes in agricultural practices have reduced this species' population in the Lake Saint-Pierre region. 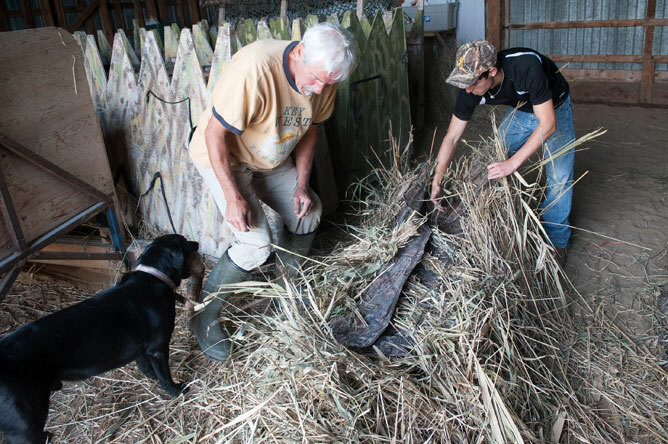 The hay fields have been replaced by other crops, making the environment less suitable as a nesting ground. 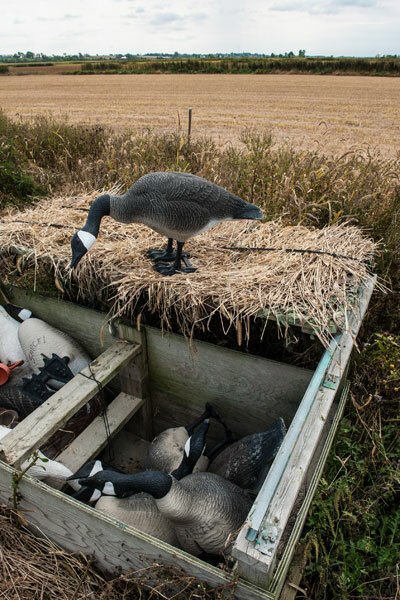 Decoys are used to lure ducks by taking advantage of their flocking instinct. They are drawn to locations that seem to be frequented by others of their species. 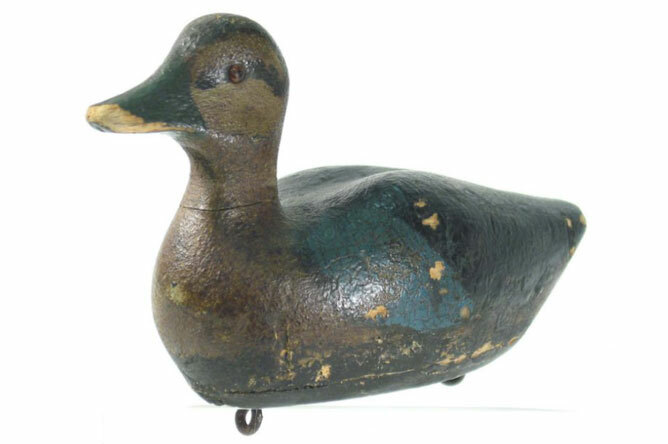 The handmade wooden decoy in this photograph is meant to attract Common Goldeneye. 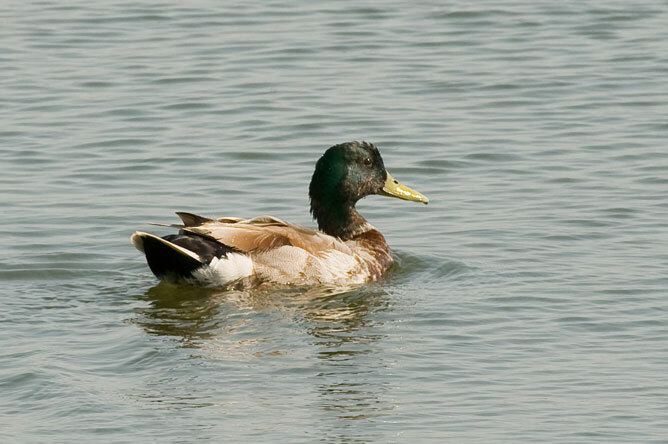 This diving duck tends to keep to the deeper water in the middle of the lake. 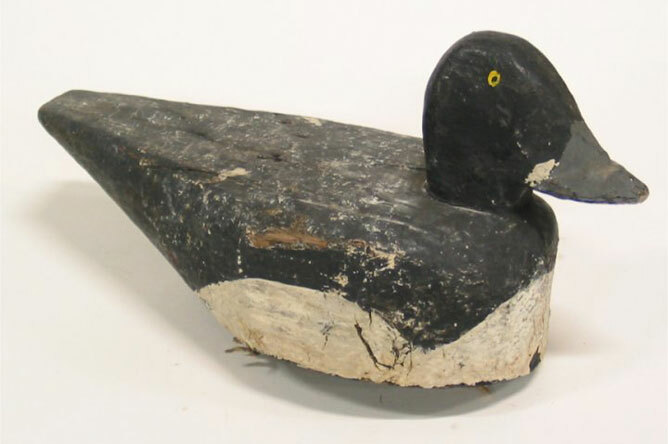 During the fall hunting season, the Société d'Aménagement Récréatif pour la Conservation de l'Environnement du Lac Saint-Pierre (SARCEL) supplies hunters with duck and goose decoys and hunting blinds. 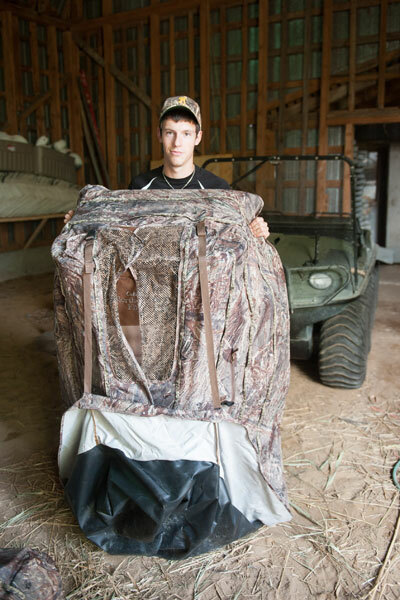 The blinds can hold up to four people, with a minimum of two paying hunters per blind. The blinds are set up in fields owned by SARCEL. Director Christian Hart works for SARCEL on a volunteer basis. This non-profit organization is dedicated to protecting and managing wildlife habitats in the Lake Saint-Pierre region. It owns and manages agricultural land that also serves as key waterfowl and fish habitat. SARCEL oversees hunting activities on agricultural land in the Baie-du-Febvre/Nicolet region, on the south shore of Lake Saint-Pierre. Revenues obtained from hunting activities are invested in protecting, managing and presenting wetland habitats. 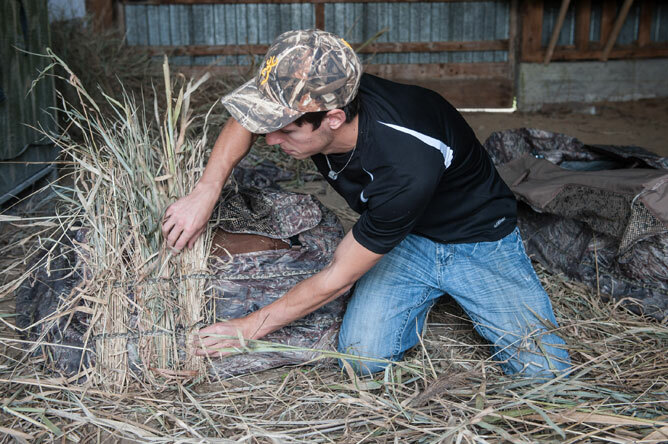 To encourage the next generation to get involved in hunting, the Société d'Aménagement Récréatif pour la Conservation de l'Environnement du Lac Saint-Pierre (SARCEL) offers free waterfowl licences to people under age 25 as long as they are accompanied by two adults who have paid for their licences. Félix Dufresne is part of the next generation at SARCEL. The day before hunting season begins in late September, Société d'Aménagement Récréatif pour la Conservation de l'Environnement du Lac Saint-Pierre (SARCEL) volunteers Jacques Gauthier and Félix Dufresne cover the blinds in dry vegetation to help them blend into the environment and make it harder for waterfowl to detect the hunters. 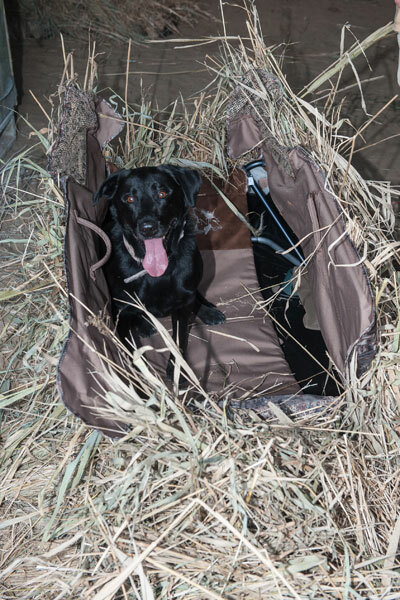 The preparations are very exciting for this young Labrador Retriever, who is eager to play his traditional role of retrieving ducks for his master. 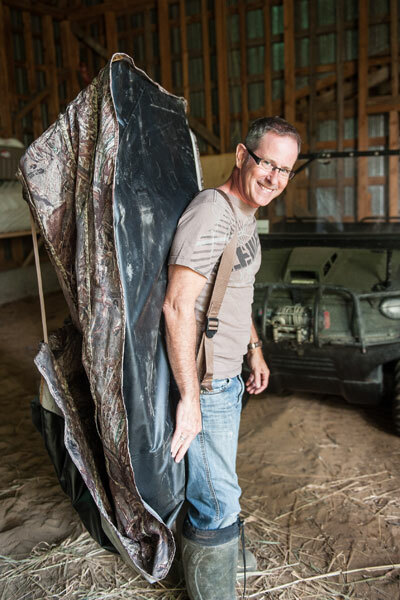 Félix Dufresne is passionate about hunting, and is deeply involved in the youth initiatives organized by the Société d'Aménagement Récréatif pour la Conservation de l'Environnement du Lac Saint-Pierre (SARCEL). Christian Hart explains that the Société d'Aménagement Récréatif pour la Conservation de l'Environnement du Lac Saint-Pierre (SARCEL) requires that the farmers using its land adopt more environmentally friendly agricultural practices to reduce their impact on wetland and aquatic habitats. SARCEL also builds partnerships with various other organizations, including the Organisme de concertation pour l'eau des bassins versants de la rivière Nicolet (COPERNIC). In this type of blind, the hunter lies on the ground. 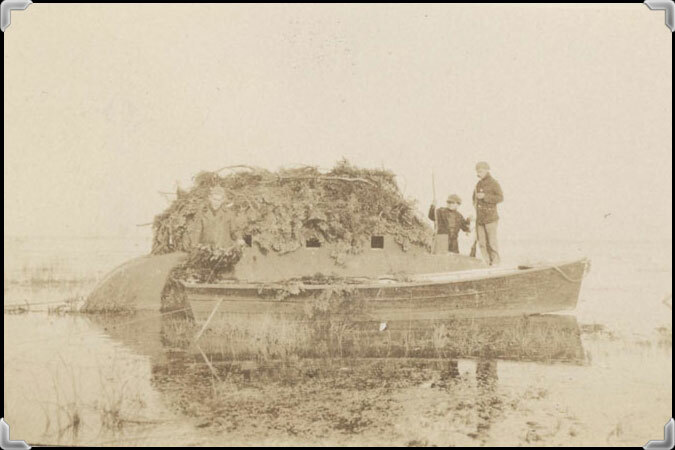 Hunters pile wetland vegetation on their boat, making it less visible to ducks.